BMW X5, anyone ever done one? Hey Everyone. so here is where i am at. i just sold my trust old Chevy K10. i hadnt driven it in over a year and i felt i just didnt need it anymore. i originally sold it with the intent of buying something smaller, Yota, Jeep, Xterra something like that. but now im thinking why? 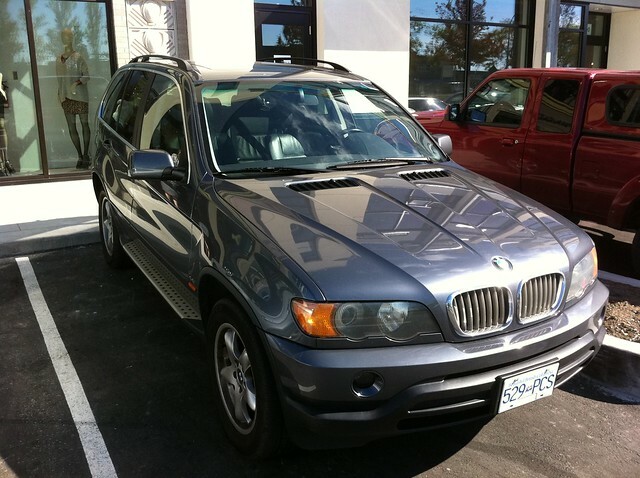 I currently own a BMW X5 which i have been doing all my camping and overlanding with for the last year and im thinking i might build it up and use it instead of buying a 2nd vehicle. cause who needs another monthly payment right? has anyone ever done it? i can get a system from BMW that allows me to jack the airbags to get me 2 inches of lift at the flick of a switch for not much more than a lift kit for most vehicles. the AWD system is highly intelligent and works miracles. im thinking a moderate AT tire and some protection and i should be good. Zero experience offroad with an X5 (although I have run one on a track!). Tires are the first issue, actually overlanding with a such a pretty ride is second. While this is a carefully setup track, this is an interesting video (fast forward a bit to get the outside of camera view). cool video! i wouldnt be taking mine over terrain that rough or in areas that will involve damage. I like that video. Wish I had something like that in my backyard! I'd say go for it, if it's been getting you where you want why not? It can probably get you alot further than you thought it could just as it is, but once you mod it a little it will just give you that much more confidence. BMW did have the X3 compete in the Dakar Rally; albeit highly modified. Source parts from the BMW Dakar development team. an image that is found on internet. Hmmmm a little Mad Maxish, but has possibilities. x2 all i see is black white and tan. Where's the X5? The support vehicle was a modified and BMW X5 there is plenty of footage of it, and is an interesting show. I like this idea. It's about time we start seeing these things done up other than blingmobiles. I'm not a fan of airbags, but they work for some. Seems many of the Rover guys end up swapping theirs out. AWD can get you places many don't think you should be able to go. I've had my share of strange looks and people asking if I drove Grumpy in somewhere. Grumpy is still stock and on some crappy Primewell street tires, so anything you do would be an improvement. The 5x120mm bolt pattern BMW uses is a bit unique, most rim mfgs I think of when it comes to off road type rims do not offer that pattern in their catalogs. I have found cheap X5 rims on CL. I've also found that the Honda Ridgeline rims share the same bolt pattern and roughly the same backspacing, might give you a source for cheap steel rims. they will be strong enough to do nearly anything you want. and they typically have larger caliper clearences than other wheels. so you may have an option for a taller sidewall tire while retaining overall diameter. yeah, i know the BMW handles like a sports car on fire roads (trust me... i know... hehe) in snow and mud the computer seems to do its job. i was thinking of pulling the running boards and useing them as a mock up and reproduce them in steel to act as rocker protection. you may get more out of making a mold from the original rocker guards. A set of carbon/Kevlar rocker guards will serve you well on a rig like that. We have used them as sliders on the rally cars numerous times with very little damage.